When Iyay, a single mother, learns that her estranged husband has died, she drags the entire family on a road trip from Cebu to Dumaguete to attend the funeral. This movie is one of the Official Entries of 2017 Pista ng Pelikulang Pilipino under the direction of Victor Villanueva. Patay na si Hesus was a fun ride from beginning to end. The movie was generally light and funny most of the time. What I like about the movie is how creatively the director played on simple scenes and conversations and make it work on the Visayan language and somehow make a striking appeal for its general audience as whole. The plot is actually simple. Its a road trip of a family to pay their last respects for their father. What makes it colorful is their journey towards their destination. The story is not so cluttered with complicated stuffs and sticked only to the realistic side and back stories of each character. Aside from the official medium which is Bisaya, the film really depicts the culture and the way of living of the Bisaya people. The consistency is really there. Well, it was shot in Cebu so its really consistent and faithful to its entire premise. What I love about the movie is it featured good scenes along the Cebu-Dumaguete route. Also, the movie has lots of metaphors and very unexpected scenes that will truly delight your viewing experience especially on the climax part. The simplicity and the genuine approach of the movie is really felt. Cinematography is actually good. Sound engineering is the best since they included lots of Visayan Pop Songs in the movie. Its more of a celebration of the Bisaya culture. I must commend all the characters in the movie. They all did well. Hats off to Jaclyn Jose for being such a brilliant actress. Overall, Patay na si Hesus is light-hearted and heartwarming at the same time. No need to overanalyze the story. Just sit back and enjoy the ride. I really can’t point out any negative as I did not focused much on the technicalities of the film. 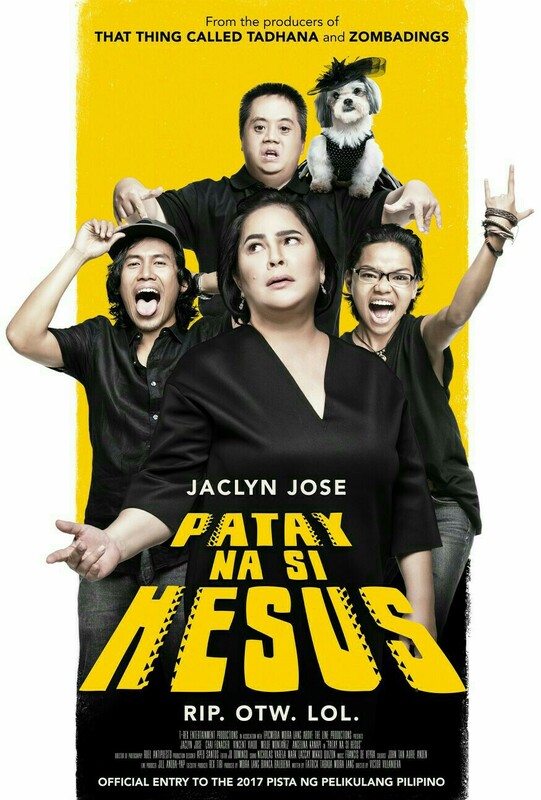 If you are in for some fun, Patay na si Hesus is the right choice. For exciting video blogs, subscribe at my YOUTUBE CHANNEL.